Here is another cheerful page….created after making the “Smile ’til Your Cheeks Hurt” page. Teaching school…and being around little kids…can be like being in a “Pile of Smiles”…and hence this page. And so…a reminder to myself….to look for the positive, to notice and appreciate what’s good in life..maybe not always with an actual smile on my face, but at least with a smile in my heart. 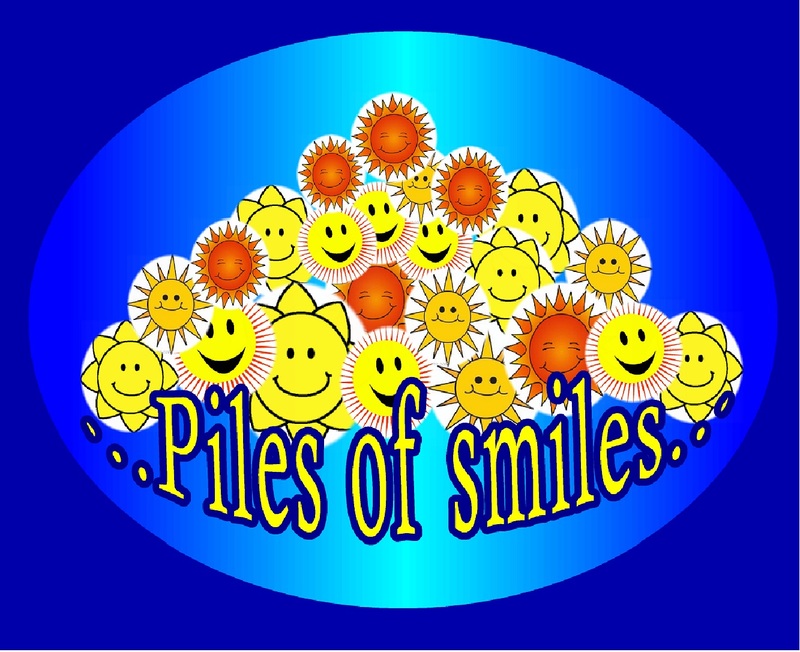 I absolutely love your visual of piles of smiles! I have a little preschool & hope you would not mind if I use your picture. I too love little children. They are sure to put a smile on my face everyday! What a blessing children are!